When Joseph Pulitzer arrived in Boston by ship from Hungary in 1864, he was a penniless 17-year-old mercenary whose passage had been paid by the Massachusetts military recruiters. He immediately enlisted in the Lincoln Calvary and fought with a German immigrant regiment for the duration of the Civil War. After the war he moved to St Louis where his fierce intellect and writing skills gained him employment and connections. He took advantage of every opportunity and by 1879 he had acquired two St Louis newspapers and became a successful publisher. He later moved to New York City and acquired ‘The New York World’ newspaper. Upon his death, Pulitzer’s estate bequeathed Columbia School of Journalism an endowment that recognized outstanding artistic and journalistic achievement. 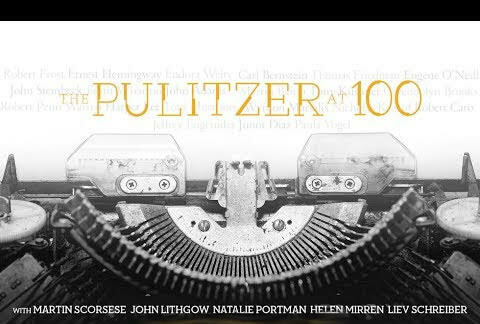 Since 1917, the Pulitzer Prize has grown into the country’s most prestigious award for the recognition of excellence in journalism, literature, and music in 21 designated categories. he campus from Oct 1 – 5. Washington Post journalist Eugene Robinson is currently serving as board chairman of the Pulitzer Prize committee. He was recently in Chicago to receive the First Amendment Award on behalf of the Pulitzer Prize. This recognition of the Pulitzers was given by the association for Education in Journalism and Mass Communication (AEJMC) and Eugene addressed the audience at their annual conference. Eugene’s warning is legitimate. Mass media, facebook, and partisan propaganda have overwhelmed Americans and sown much confusion and doubt about important issues ranging from climate change to health insurance. Much of the nation’s populace votes against its own interests. They don’t have trust in our government to be able to legislate law or to regulate big business. The politicians that they put into office obstruct any progressive action and the resulting government paralysis means business as usual for corporate polluters and natural resource plunderers. We are immersed in a culture of marketing scams and lies. We have become accustomed to it all as well as cynical about it. Many of our individual ethical choices are made out of fear or complacency. And our self-interest has allowed powerful monied interests to highjack our government and our culture. We have not been vigilant in protecting the rights granted to us in our democratic society. Now, I really respect Eugene. I appreciate his astute commentaries published regularly in the Washington Post and his past appearances on MSNBC’s ‘Morning Joe’ when I used to watch cable news. He has himself been awarded the Pulitzer Prize for journalism in 2008. But Eugene seems not to have fully grasped the biases of corporate journalism in making his acceptance speech. If he had, he could have used his soapbox to challenge the journalists in the room to recognize the shortcomings and failings of the establishment press rather than gloating about a fictionalized journalistic integrity. The primary motive of the corporate media is of course the pursuit of big profits. Media consolidation over the years has resulted in six big media conglomerates that control 90% of the content consumed by Americans through our viewing, reading, watching, and listening. We live in an American media bubble and corporate journalists control the narrative. Their biases are seldom critiqued by those who are working on the inside. In contrast to our president, I wouldn’t label establishment journalism as ‘fake news’. Our supreme leader uses the term in waging his cultural war against journalists who are critical of his policies, his ethics, and his personal conduct. But I would counter Eugene’s assertion that corporate journalism pursues the truth for the greater good. – The support by the media of the American military empire in the interest of maintaining U.S. world economic dominance. The underlying ethics of funding the world’s largest military-industrial complex as well as the largest global arms purveyor are rarely questioned. – The marginalizing by the media of the little brown and black people around the world who are in harm’s way and inadvertently murdered by U.S. drone strikes, national security operations, and proxy wars that are funded by the U.S. These innocent and invisible people are not considered worthy of mentioning much less receiving the coverage that is given to victims of terrorist attacks in the west. – The trivialization by the media of the voices working for peace and nonviolence. They aren’t allowed to participate in the analysis of U.S. foreign policy and our endless wars. Instead we overwhelmingly hear the pragmatic, rational views of retired military officers and the spokesmen drawn from the big Washington think-tanks funded by conservative monied interests. – The marginalization by the media of poor people in this country who now make up more than half of our populace. Instead, the media’s attention is fixated on the lives of celebrities and billionaires rather than the struggles of ordinary working Americans. – The media leaves un-examined their underlying biases for promoting global finance capitalism and the policies of neoliberalism. The pursuit of increased economic growth at the expense of a healthy finite planet is an unquestioned economic principle. – The non-stop sensationalist focus by the media on acts of terrorism throughout the world regardless of the actual threat to our country. – A lack of attention by the media on the urgent grave threats to the planet brought on by climate disruption, species extinction, and the breakdown of ecosystems – all of which are accelerating throughout the world on land and in the oceans. Specific corporations aren’t called out for their practices of pollution and exploitation – that’s the job of ‘environmentalists’. – The parroting by the media of opportunistic politicians and commentators who trivialize the use of diplomacy and endlessly rail against our plethora of manufactured enemies – be they North Korea, Iran, Russia or China. Eugene’s acceptance speech at the AEJMC conference was followed by a question and answer segment with journalists and educators. Neither Eugene nor the audience cared to examine the reasons for the public’s lack of trust in the establishment media or to explore the legitimate criticisms that are levied against a self-censoring press that is more beholden to corporate and state interests than to exposing necessary truths. Instead the time was used to inquire about the operation and editorial freedom of the Washington Post under the ownership of one of the world’s wealthiest men, Jeff Bezos. Eugene assured the audience that the founder of Amazon has allowed the editors complete independence while funding the needs of the influential newspaper so as to return it to profitability. That’s saying something for an industry where tens of thousands of journalists have sacrificed their jobs in the last 15 years so that the media companies could preserve their profits. Meanwhile the unchallenged monopolistic practices of Bezos’ gigantic company, Amazon, are wiping out their online rivals. And the competition from Amazon has been stressing main street – the traditional brick-and-mortar businesses and their retail labor force. Amazon’s collusion with the national security state erodes our privacy rights, and will in the long run, weaken our democracy. We have a crucial need to cultivate media literacy so that we may better determine key questions such as: When are facts and opinion truthful or being manipulated to mask a hidden agenda? When is the label ‘fake news’ accurate or just an attempt by the accuser to distract or obscure the issues? When is journalism pushing an agenda by leaving out necessary historical context? When is the media simply repeating the official position or explanation by the government or military rather than investigating the truthfulness of the report? There are many independent news sources on the web that are non-profit, subscriber based, and receive no corporate funding. They are trusted sources for news and opinion and can be found online. These organizations include Democracy Now!, The Intercept, The Ralph Nader Hour, ProPublica, The Center for Media and Democracy, FAIR, and Reveal (The Center for Investigative Reporting). They feature some of the best journalists working today including Glenn Greenwald, Jeremy Scahill, Seymour Hirsch, Norman Soloman, John Nichols, Greg Palast, John Pilger, Amy Goodman, Juan Gonzalez, and Noam Chomsky. The documentaries that are featured at the Naro by independent journalists and filmmakers offer a critique of American society that frequently counters establishment narratives. Our film programs offer speakers and discussion in an ongoing effort to raise media literacy in our community. 13 MINUTES Based on the true story that could have changed the course of history. During Hitler’s anniversary speech in Munich on November 8, 1939, a young man is arrested on the Swiss border for possession of suspicious objects. Georg Elser (Christian Friedel) had just planted a bomb immediately behind the Führer’s lectern. The explosion ends up killing eight people but not the man it was meant for. Hitler had left 13 minutes before the detonation. In German with subtitles. Shows Tuesday, Sept 19. WHOSE STREETS? Told by the activists and leaders who live and breathe this movement for justice, this powerful documentary is an unflinching look at the Ferguson uprising. When unarmed teenager Michael Brown is killed by police and left lying in the street for hours, it marks a breaking point for the residents of St. Louis, Missouri. As the national guard descends on Ferguson with military grade weaponry, these young community members become the torchbearers of a new resistance. Shows Wed, Sept 20 with speakers and discussion. MICHELANGELO: LOVE AND DEATH The towering statue of David, the deeply moving Pietà in the Papal Basilica of St. Peter, and the Sistine Chapel ceiling still leave us breathless today. Spanning his 89 years, this beautiful documentary takes a cinematic journey through the great chapels and museums of Florence, Rome and the Vatican. Shows Tuesday, Sept 26 presented with Chrysler Museum. 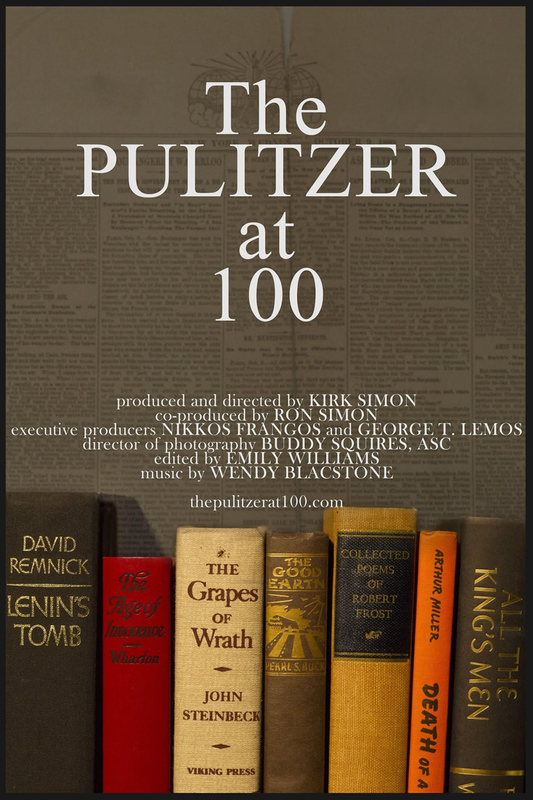 THE PULITZER AT 100 The Pulitzer at 100 celebrates the centenary of this revered and seminal national award for literary excellence in journalism and the arts. The riveting tales of the winning artists give an insider’s view of how these pinnacles of achievement are selected in the twenty-one categories and how the award has the power to change lives and communities. The diverse stories explored in the film relate to immigration, race, gender, and above all freedom of speech. Shows Wed, Sept 27 with speakers & discussion. PEARL JAM: LET’S PLAY TWO Pearl Jam took footage from their Aug. 21 and 22 performances at Wrigley Field last year (Eddie Vedder is from Chicago) to make this powerful concert film. Shows Tuesday, Oct 3. WALK WITH ME This contemplative new documentary takes us inside the world of Plum Village, the renowned French monastery of Zen Buddhist master Thich Nhat Hanh. Filmed over a period of three years, it captures the four seasons in the life of a monastic community whose members have given up all their possessions for one common purpose – to practice the art of mindfulness. Narrated by Benedict Cumberbatch. Shows Wed, Oct 4 with speakers and discussion. Naro-Minded presents Suspiria, the Italian horror classic shows Friday, Sept 29. Beer and wine sales benefit Naro Video Archive, a new non-profit. Late-Night Fright! is a late show series of cult horror classics. A Nightmare on Elm Street shows Friday, Oct 6. The Gate shows Sat, Oct 7. FirstLook Film Forum The Fall Season of the subscription-based series starts Sunday morning, Oct 1 and includes seven film premieres, discussion, socializing with other devoted cinephiles, and a pre-show brunch at 9:30am. Visit narocinema.com for playdates and info. Tench, I enjoyed reading this piece and really admire the thought and effort that clearly went into crafting it. I think you give the corporate interests a bit too much credit for their competence at conspiratorial coordination, but you make some very good points that challenged my reflex conservatism. (Small “c”; I agree with Judge Richard Posner that the GOP “has gone goofy”) Thanks for this excellent essay. 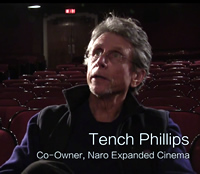 And for Naro Cinema.